Andreas Christensen is currently dating girlfriend Katrine Friis, but how much do we know about the Chelsea FC star's partner? Andreas Christensen has been settling into life in London with girlfriend Katrine Friis since breaking into the first team at Chelsea FC. The Danish defender has been earning rave reviews for his performances at the back for Chelsea FC after returning from a two-season loan spell at German side Borussia Monchengladbach. Christensen recently signed a new contract with Chelsea FC to commit his future to the west London club, and it would seem that he is well settled into life in the English capital with his girlfriend Katrine. The central defender signed a new deal in January 2018 to keep him at the Premier League club until the summer of 2022, as he looks to write his name into Chelsea FC folklore. Katrine can regularly be spotted cheering on her boyfriend while he plays for Chelsea FC at Stamford Bridge. She regularly posts pictures of herself at Chelsea FC’s home ground as boyfriend Andreas lines up for the west London side. Christensen will certainly be hoping to hold down a regular place in the Chelsea FC team in the coming weeks and months, and it seems that he is settled both on and off the pitch. 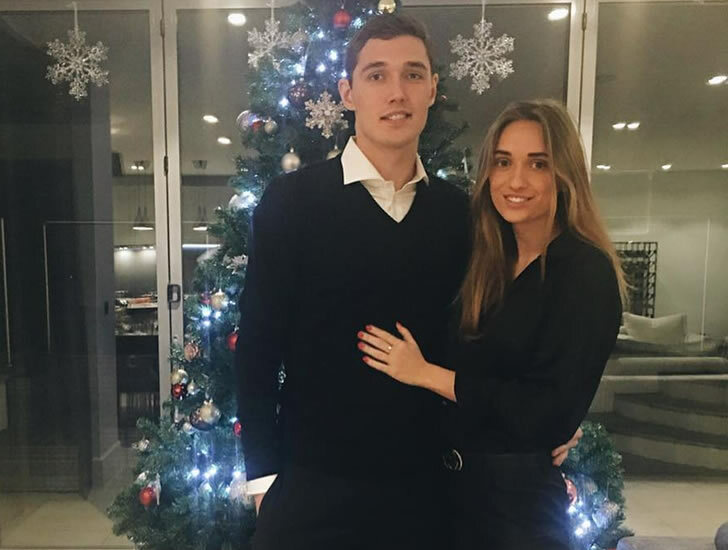 Check out our slideshow of Christensen’s girlfriend Katrine as we find out some more about the Chelsea FC defender’s partner. Click the button above to start the slideshow.